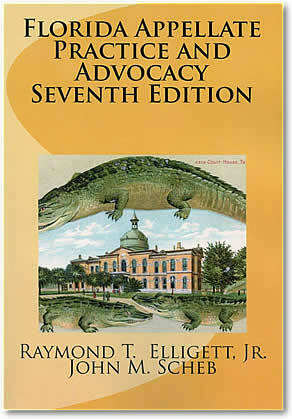 Florida Appellate Practice and Advocacy Seventh Edition - Buell & Elligett P.A. Effective January 1, 2019 there are numerous rule changes. Some are noted below. Five days is no longer added to times when service was by email, but some times have been increased in the respective rules. 3.2 Chiu v. Wells Fargo Bank, N.A., 242 So. 3d 461 (Fla. 3d DCA 2018), holds entering a summary judgment without conducing a hearing is fundamental error. 3.3 Cite update: Special v. West Boca Medical Center, 160 So. 3d 1251 (Fla. 2014). 3.8 Counsel who wish to rely on another party’s objection should specifically adopt co-counsel’s objection. See Johnson v. State, 726 So. 2d 359 (Fla. 1st DCA 1999). 3.9 Houk v. Pennymac Corp., 210 So. 3d 726 (Fla. 2d DCA 2017), cites and agrees with several cases that transcripts are ordinarily not necessary for appellate review of a summary judgment. 3.16 Cite update: Coba v. Tricam Industries, Inc., 164 So. 3d 637 (Fla. 2015). 3.17 If the plaintiff prevails on two or more theories of liability, if one of the theories is not affected by harmful error, then an error that would be harmful as to another theory is rendered harmless. See Kopel v Kopel, 229 So. 3d 812 (Fla. 2017). The Fourth District disagreed with the need for a rehearing when a final judgment of dissolution fails to make statutorily required findings in Fox v. Fox, 44 Fla. L. Weekly D27 (Fla. 4th DCA December 19, 2018). Cases have required motions for rehearing to address alleged errors that first appear on the face of the judgment. See New Hampshire Indem. Co. v. Gray, 177 So. 3d 59 (Fla. 1st DCA 2015). 4.5 Add: The rules on preservation would apply. 4.10 Cite update: AmMed Surgical Equipment, LLC v. Professional Medical Billing Specialists, LL, 162 So. 3d 209 (Fla. 2d DCA 2015). The Second District held the only notice of appeal the bankrupt debtor had filed was void because he had already filed for bankruptcy, and it dismissed his appeal in Hewett v. Wells Fargo Bank, 197 So. 3d 1105 (Fla. 2d DCA 2016). 4.11 In Negron v. Hessing, 186 So. 3d 1139 (Fla. 4th DCA 2016), the party’s oral motion for a new trial was denied orally by the court. The party then filed a written motion for new trial. The court did not address that motion, but entered a final judgment. The Fourth District held once the trial court orally denied the oral new trial motion, both the trial judge and a successor judge were without authority to reconsider the matter. It also held the written motion was deemed denied by the entry of final judgment. 4.12 Note that Negron v. Hessing (§4.11), says the entry of final judgment is treated as a denial of the motion (so that the 30 days to appeal would run from final judgment (not the later order denying the motion). The 1981 supreme court case it cited for this ruling had addressed the effect of that court’s rulings on motions related to Public Service Commission orders and had not been cited for this point until Negron. 4.16 Leichester Trust v. Federal Nat. Mort. Assoc., 184 So. 3d 1187 (Fla. 2d DCA 2015), reversed the denial of a 1.540 motion seeking to set aside the denial of a rehearing appellant’s counsel had not received (when purportedly sent by regular mail). Emerald Coast Utilities Authority v. Bear Marcus Pointe, LLC, 227 So. 3d 752 (Fla. 1st DCA 2017), held the law firm’s use of an email filter that allegedly deleted an order was not excusable neglect under the facts there. The appellate court affirmed the trial court’s denial of a Rule 1.540 motion for relief based on excusable neglect. 4.16 Florida Patient’s Compensation Fund v. Scherer, 558 So. 2d 411 (Fla. 1990), holds the trial court has no jurisdiction regarding the final judgment after the notice of appeal is filed. While not delineated in the opinion, the court was referring to “case” jurisdiction. See Tobkin v. State, 777 So. 2d 1160 (Fla. 4th DCA 2001). Looking back at the case the supreme court cited, and to the underlying cases, makes clear the reference is to whether a relinquishment of jurisdiction was necessary (as the circuit court had jurisdiction over the subject matter of the underlying case). 4.22 Florida Farm Bureau Gen. Ins. Co. v. Peacock’s Excavating Service, Inc., 186 So. 3d 6 (Fla. 2d DCA 2015), holds a partial final declaratory judgment determining the insurer had a duty to defend is not appealable. 4.39 The 2014 committee note under revised Rule 9.130(a)(5) says it preserves review of an order setting aside a default judgment, as discussed in Howard v. McAuley, 436 So. 2d 392, n.1 (Fla. 2d DCA 1983). 4.46 Gelboim v. Bank of Am. Corp., U.S. , 135 S. Ct. 897, 190 L.Ed. 2d 789 (2015), holds a dismissal of certain plaintiffs’ only claims is an appealable order, even though other plaintiffs in the multi-district litigation have surviving claims. 5.5 Jackson v. Jackson, 201 So. 3d 677 (Fla. 3d DCA 2016), held the appellant was entitled to a new trial when the deceased court reporter’s recordings could not be located and the parties had unsuccessfully attempted to reconstruct the record. 6.7 The ability of an amicus to advance new theories is likely now limited to when the amicus appears on behalf of an appellee, in light of the preservation standards discussed above. 7.13 As of October 2017, all district courts of appeal have a procedure in place where counsel could file an agreed notice to extend the time for briefs in final appeals. Check the respective websites for details. 8.10 Allstate Fire and Cas. Ins. Co. v. Hallandale Open MRI, LLC, 253 So. 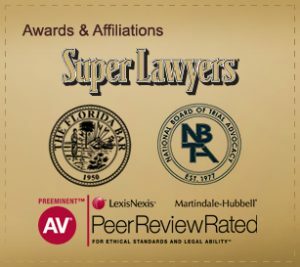 3d 36 (Fla. 3d DCA 2017), certifies to the Florida Supreme Court the question of whether a DCA has jurisdiction for second-tier appellate review where there is an intra-district conflict between two circuit court appellate opinions and the DCA has not addressed the issue in a controlling opinion. The court granted certiorari when the trial court had denied the personal representative’s motion to consolidate two wrongful death cases against different defendants that were based on successive injuries alleged to have caused the death. The district court held the risk of inconsistent verdicts met the standards for certiorari. Tracey v. Swanholm Central, LLC, 223 So. 3d 448 (Fla. 2d DCA 2017). 8.14 Wiggins v. Florida Department of Highway Safety and Motor Vehicles, 209 So. 3d 1165 (Fla. 2017), holds the circuit court did not engage in an impermissible re-weighing of evidence when on first tier certiorari review it concluded an officer’s testimony on driving under the influence was not sufficient in the face of a conflicting video. 8.21 League of Women Voters v. Scott, 232 So. 3d 264 (Fla. 2017), holds the court lacked jurisdiction to determine if quo warranto was warranted for appointments that were only contemplated and had not been made (three supreme court vacancies). 9.1 Cite update: Special v. West Boca Medical Center, 160 So. 3d 1251 (Fla. 2014). 10.6 Beginning in 2019, five days are no longer added to the time to serve responsive briefs when service is by email, but the time period for briefs after the initial brief has been increased to thirty days. 10.9 Effective 2016, there are no longer record “volumes,” so references to the record should contain only a page number. 10.27 Effective December 2016, FRAP 26(c) provides that a paper that is served electronically is treated as delivered on the date of service stated in the proof of service. In other words, there is no longer an additional 3 days added for electronic service. The word count limits also changed. Consult the current Federal and Eleventh Circuit rules. 11.4 In 2018 the Second District expanded its practice to allow oral argument in most appeals, including non-final appeals and writs. 12.1 Allen v. State Farm Fla. Ins. Co., 209 So. 3d 11 (Fla. 2d DCA 2016), holds an insured is entitled to recover fees under §627.428(1), Fla. Stat., if the insured prevails against the insurer in an appeal or a petition for certiorari. 12.5 Appellate courts have awarded unconditional fees to an insured who obtained the reversal of an adverse final judgment, even though the insured still had to prevail below, where the reversal meant the insurer’s motion for fees on appeal was defeated. See Beverly v. State Farm Fla. Ins. Co., 50 So. 3d 628 (Fla. 2d DCA 2011), October 27, 2011 fee order in Case No. 2D09-2317 (docket at http://www.2dca.org/ ); Hamilton v. State Farm Fla. Ins. Co., 151 So. 3d 1 (Fla. 5th DCA 2014), April 4, 2014 fee order in Case No. 5D12-3733 (docket at http://www.5dca.org/ ). In this situation, the insured has obtained a judgment or decree that precludes the insurer from ever recovering fees for that appeal. See §627.428(1), Fla. Stat. 12.7 Addressing the appellate court’s discretion re costs, see In re Guardianship of Bloom, 251 So. 3d 1026 (Fla. 2d DCA 2018). 13.8 A lawyer’s rehearing accusing the court of “acting illegally” (and more) garnered an order to show cause in Aquasol Condo. Assoc., Inc. v. HSBC Bank USA, 43 Fla. L. Weekly D2271 (Fla. 3d DCA September 26, 2018). 14.18 Winn-Dixie Stores, Inc. v. Dolgencorp, LLC, 881 F. 3d 835 (11th Cir. 2018), criticized counsel for leading the district court into error by defying the Eleventh Circuit’s mandate.